ASEAN governments are seeing severe digital security breaches and violations of users’ privacy. The China-proposed Belt and Road Initiative entered its fifth year in 2018, offering fresh impetus to economic development and integration in the Asia-Pacific region, while bringing tangible benefits to the people along the route. Singapore, a major international financial hub, lost its crown as Southeast Asia’s top grossing market for initial public offerings in 2018. Japanese real estate developers and homebuilders are tapping into growing demand for luxury condominiums in Southeast Asia, a market of 600 million increasingly wealthy consumers. A trade war waged by U.S. President Donald Trump is likely to deal a further blow to China’s economy in 2019, but ASEAN may gain from the dispute between the world’s two biggest economies. China is willing to enhance disaster management cooperation with the Association of Southeast Asian Nations (ASEAN) to further improve the capacity of preventing disasters and reducing damages in the region, a Foreign Ministry spokesperson said Thursday. THE ASEAN Intergovernmental Commission on Human Rights (AICHR) convened the 2018 Regional Dialogue on the Mainstreaming of the Rights of Persons with Disabilities in the ASEAN Community (Accessibility through Universal Design) on December 3-5, in Bangkok, Thailand. 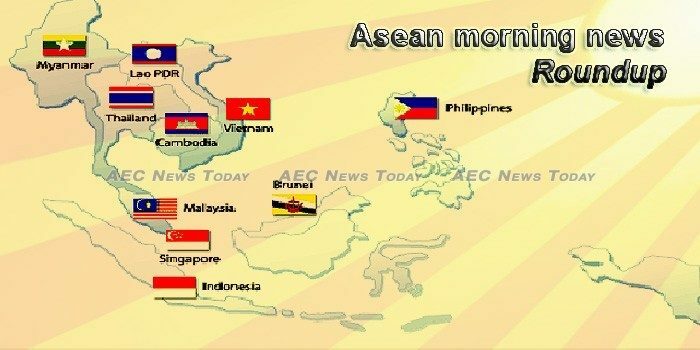 Online lending platform Robocash says that the ASEAN market is the best region for Fintech development during the next year. A report completed in partnership with Deloitte by Robocash states that Fintech investments in Southeast Asia will increase by more than 20-30% in 2018 compared to the previous year. In March this year, the world was rocked by the Cambridge Analytica scandal. Last week, Vietnam hosted a meeting aimed at planning for the second iteration of an ASEAN multilateral navy exercise first held in 2017. Future Market Insights (FMI) delivers incisive insights into emerging regions in its latest report titled, “Southeast Asia Pet Care Market Analysis and Opportunity Assessment, 2014 – 2020”. There is no consensus on what the Indo-Pacific concept will cover. It is not clear what kind of structure is needed for such an Indo-Pacific construct. Latest Update “Flexible Packaging Market – ASEAN Industry Analysis, Size, Share, Growth, Trends, and Forecast 2016 – 2024” with Industries Survey | Global Current Growth and Future. Independent news outlets and critical journalists have faced censorship, arrests, and beatings as increasingly autocratic rulers crackdown on dissent. Several of these leaders have gleefully appropriated the US administration’s “fake news” in their crusade against the media. The ASEAN market for organic cosmetics stood at an overall valuation of US$40 billion in the year 2015. Shares of PT Charoen Pokphand Indonesia have more than doubled this year, besting Southeast Asian peers, thanks to higher prices for chickens. Cambodian Prime Minister Hun Sen warned on Wednesday that a prominent opposition figure who lives in self-imposed exile abroad would risk being arrested if he dares to return to Cambodia as he recently promised. Cambodia has maintained political stability and strong economic growth after a July general election that handed a landslide victory to Prime Minister Samdech Techo Hun Sen’s ruling party. Laos’ real estate firms need to encourage investment in building apartments rather than investing in condominium projects, a regional property valuer said recently. The 6th ordinary session of the first Vientiane People’s Council (Vientiane) has been held until 26 December 2018 for the second day. The Malaysian government will maintain current toll charges for 21 highways next year, as part of efforts to ease the burden of rising living costs, said finance minister Lim Guan Eng on Thursday (Dec 27). Malaysia’s Ministry of Domestic Trade and Consumer Affairs has given assurances that there is adequate supply of petrol and diesel for sale throughout the country. Vehicle sales in Malaysia fell 1.8 percent from last year in November the Malaysian Automotive Association said in a statement. Villagers in areas of western Myanmar’s Rakhine state said Thursday that government army soldiers are detaining civilians they accuse of supporting Rakhine rebels amid fighting between the Arakan Army and Myanmar troops. Social media posts about the jailed Reuters journalists shows that many users believe they betrayed the country because they reported unpalatable facts. Former police captain and whistleblower Moe Yan Naing is set to be released from prison next week after serving almost a year for violating the Police Disciplinary Act with his dramatic courtroom testimony that seemed to exculpate two jailed Reuters journalists, his wife has told Coconuts Yangon. A graft probe into the luxury watch collection of Thailand’s junta number two was dropped Thursday (Dec 27), sparking the ire of the public and political opponents of the military. Two bombs rocked the popular Samila Beach here Wednesday night, causing damage to the famous Golden Mermaid Statue and the Cat and Mouse Sculpture. The Ministry of Tourism and Sports announced the tourism figures for January-November 2018. Thailand received 34,431,489 international visitors, up by 7.53% over the same period of last year, generating an estimated B1.8 billion in tourism revenue, up by 9.79%. Vietnam’s economy grew by 7.08 per cent in 2018, the fastest rate in the past eleven years and beating the target of 6.7 per cent, the General Statistics Office (GSO) has announced, according to Nhan Dan newspaper. Vietnam’s public holidays are administered by the Ministry of Labour, Invalids and Social Affairs of Vietnam.